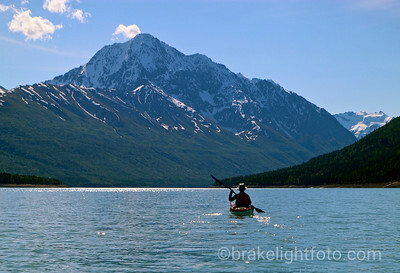 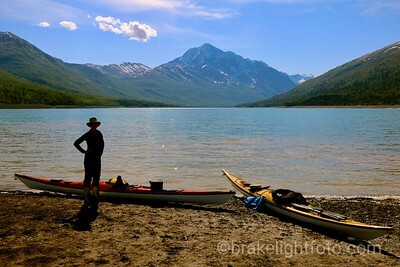 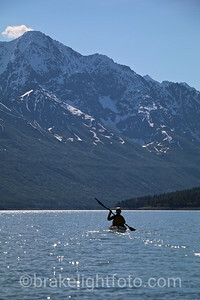 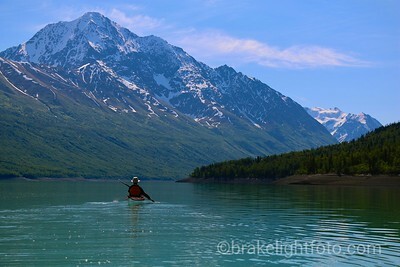 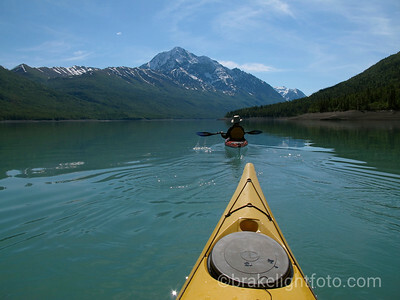 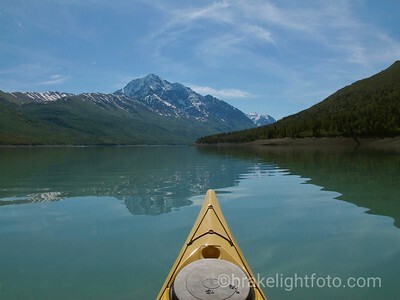 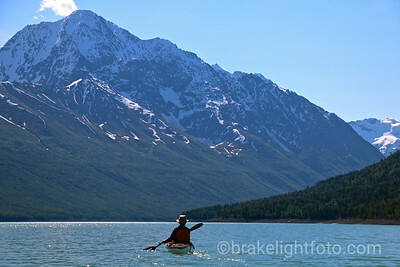 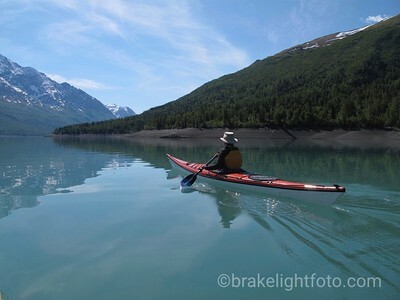 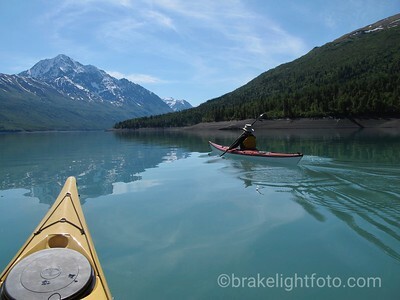 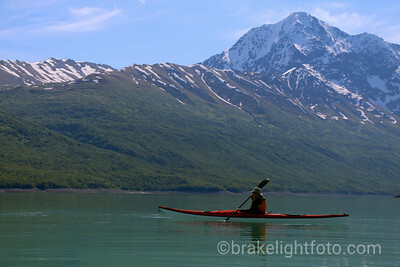 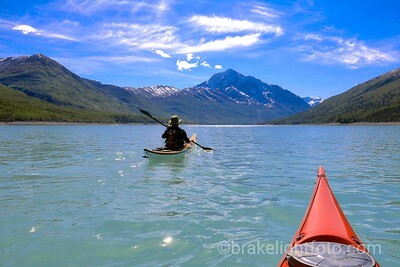 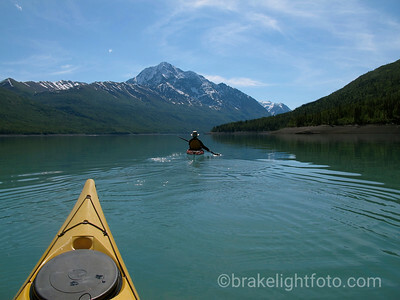 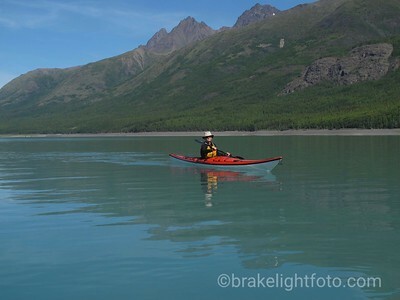 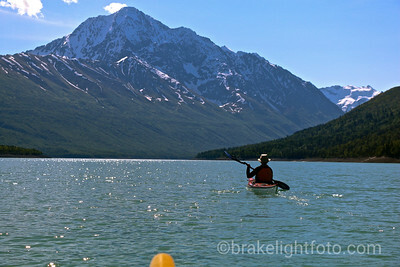 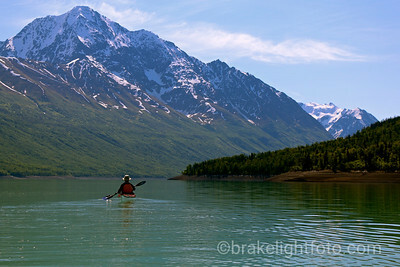 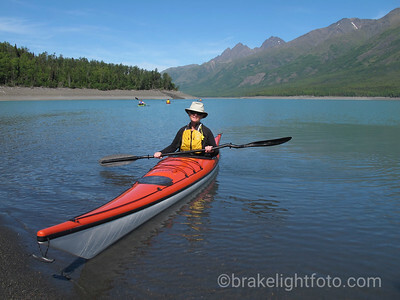 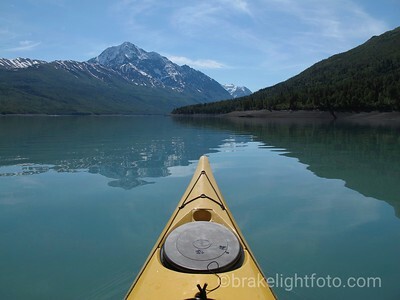 Kayaking on Eklutna Lake in Chugach State Park near Anchorage, Alaska. 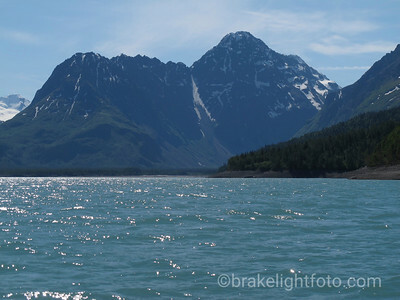 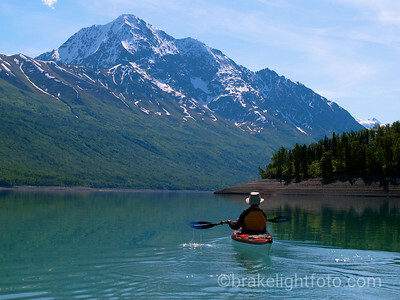 Eklutna Lake is seven miles long and is the largest body of water in Chugach State Park. 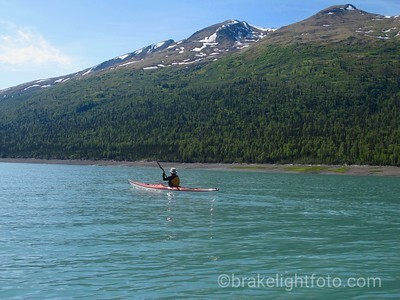 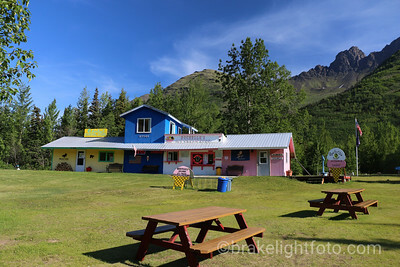 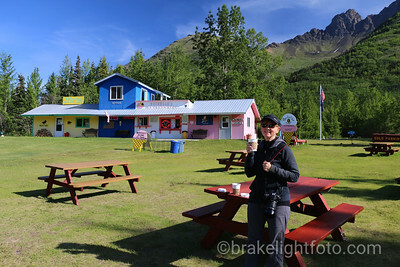 It is also incredibly scenic, framed by glaciers and the high peaks of the Chugach Mountains along its shoreline. 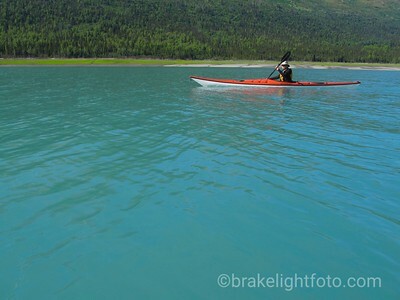 A great place to kayak but beware of high winds that can come up suddenly! Eklutna Lake is seven miles long and is the largest body of water in Chugach State Park. 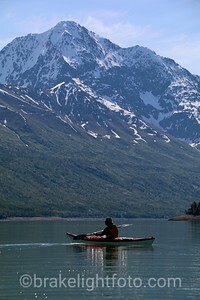 It is also incredibly scenic, framed by glaciers and the high peaks of the Chugach Mountains along its shoreline. 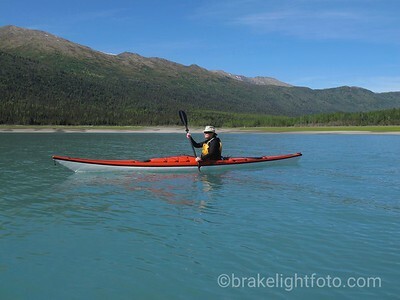 Great Kayaking but beware of strong winds that can occur suddenly!